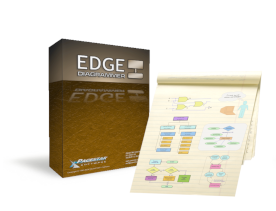 The EDGE Diagram Reader is a special version of EDGE Diagrammer that can read, display, and print diagrams but cannot be used to edit or save them. It is provided free of charge so you can share diagrams with anyone whether or not they have a full license for the software. You may share the installer of this software as long as it is never modified in any way. However, we strongly recommend you obtain it directly from this page to be certain that it is clean and safe.